Please add the year required. Perfect for that special birthday or to celebrate a new born baby. 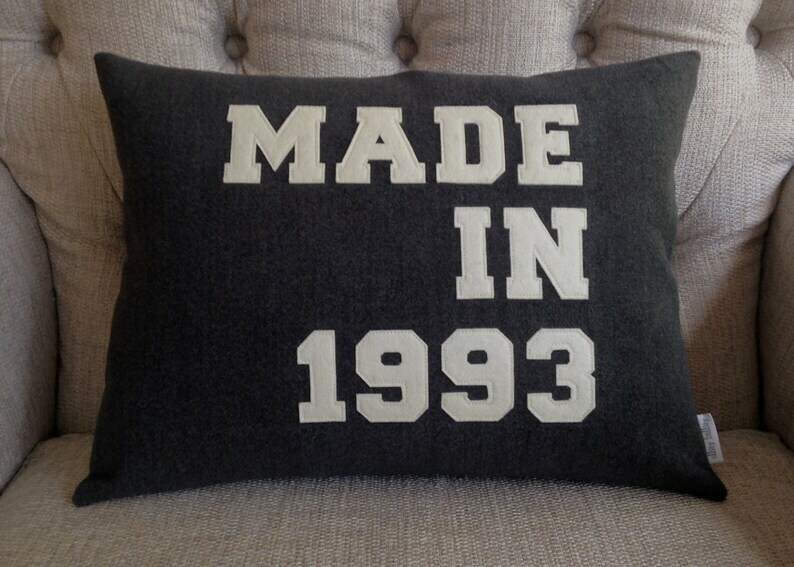 This cushion can be personalised with any year you require. Grey melton cushion with pure wool felt appliqué and coordinating zip feature on the back. Cushion comes compete with duck feather insert although if you require the cover only please send me a message and I will list you the revised shipping cost. Please state clearly the year required in the personalisation box.